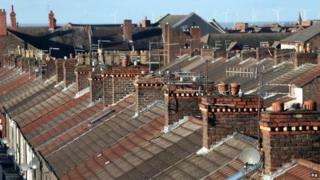 The new rules - known as the Mortgage Market Review (MMR) - came into effect at the end of April. It meant home loan applicants had to give more details about their income and outgoings during longer mortgage application interviews. Lenders are reporting a steady rise in first-time buyers despite the changes. There were 28,600 loans given to first-time buyers in June, a rise of 7.1% on the previous month and 18.7% higher than in June 2013, according to the Council of Mortgage Lenders (CML). In the second quarter of the year, first-time buyers borrowed an average of £122,000, up from £118,750 in the first three months of the year. They typically borrowed 3.46 times their income, up from 3.43 times their income in the previous quarter. "For the second month running since new FCA rules took effect, lending characteristics remain similar to the market beforehand," said Paul Smee, director general of the CML. "We now feel confident that, as we would hope, the MMR effect is more gentle dampener than hard brake." Under the new rules, potential borrowers have to give evidence to the lender about the funds in their personal budget. This could include regular payments for haircuts, gambling and club subscriptions and deliveries, to holidays, travel season tickets and childcare. Borrowers might also be expected to say if their financial position is expected to change. That could include any predicted changes in income or working hours, but might also include any plans to have children in the near future. Some brokers and estate agents have said the process of a mortgage application can take longer now. "Those who are lucky enough to be buying with cash have the best choice in the marketplace. The new mortgage rules will hamper those who need to borrow, as they are constrained by what they can afford and the length of time it will take," said Hugo Thistlethwayte, managing director of buying agency Prime Purchase. Overall, the CML said that there were 60,500 mortgages advanced for house purchases in June. This was a rise of 5.4% on the previous month and 14.6% up on June 2013. Low interest rates and a recovering economy have both assisted the pick-up in the housing market in many parts of the country, commentators have said. A survey by Aviva, published on Monday, suggested that people buying a home in the last year typically spent 33 minutes looking around the property before making an offer. How much has your house made?